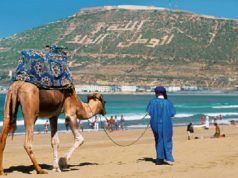 Toronto - Thousands of winter travellers, sometimes knowns as snowbirds, flock to the warm welcome of Agadir, Morocco. In an article for Travel World/USA, Anne describes her recent trip and the ease with which she and her travel companion were captivated. 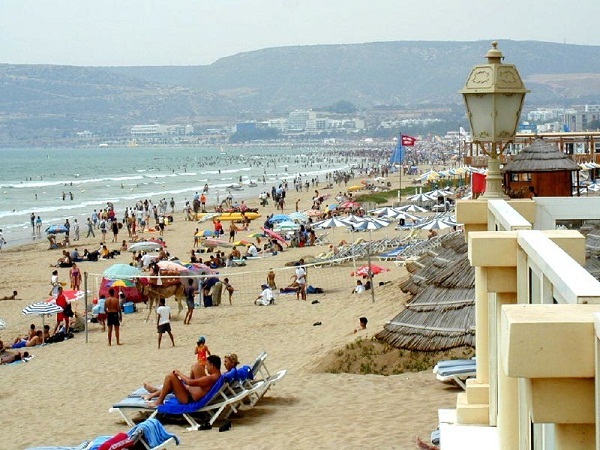 Toronto – Thousands of winter travellers, sometimes knowns as snowbirds, flock to the warm welcome of Agadir, Morocco. In an article for Travel World/USA, Anne describes her recent trip and the ease with which she and her travel companion were captivated. 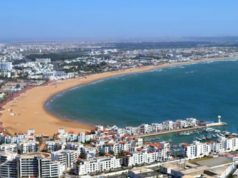 When people visit a warm country like Morocco during the winter months you can be certain of one thing; they are making a desperate escape. Cold, wind, snow, ice have inspired more getaways than any other vacation reason. 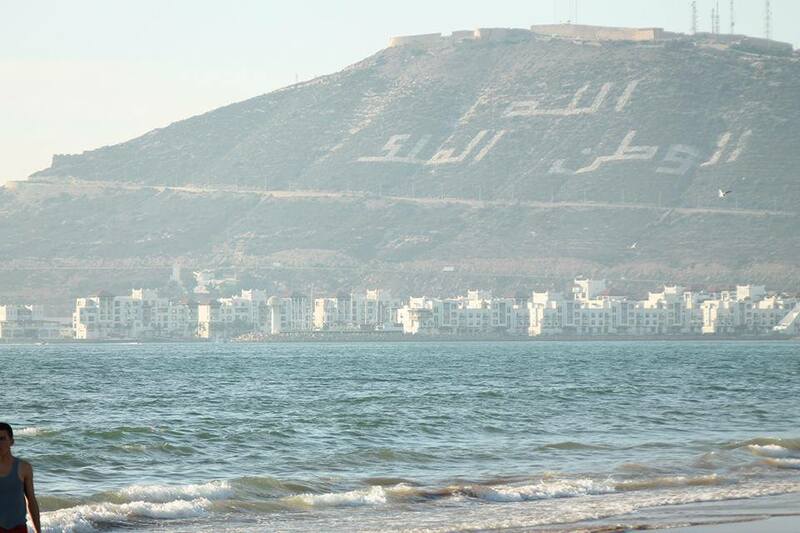 As a vacation destination, Morocco has it all. Top quality hotels attract families and jetsetters alike, attracted by modern amenities right next to old-world charm. 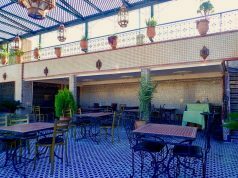 After reliable accommodations, what matters most to the winter-weary western traveller is good food and that Agadir has in abundance. Simple servings of fresh-from-the-sea fish are out of this world delicious and available at reasonable prices. 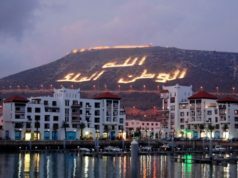 In an article for Travel World/USA, another winter-bruised traveller describes her first impression of Agadir as a city of cats. “Anne” the traveller, sensed there must be a story behind the phenomenon, and a reason for the cats being so well-treated by locals. That’s when she learned of the monumental tragedy that was the 1960 Agadir earthquake, which killed 15,000 people and left 35,000 homeless. Afterward, people commented on how the city’s population of cats had disappeared shortly before the quake hit. As it turns out, cats can sense an earthquake is building up. When the cats began to return, the locals decided to adopt them as an early warning system for the future. Returning to “Anne” and her travelling companion, their first stop after checking into their 4-star hotel, was the Royal Atlas Spa for 90 minutes of bliss known as the Hammam. Recommending that you leave any sense of modesty at the door, they promise that experiencing the hammam is the fastest and most thorough way to literally scrub the winter right out of your pores and feel a little closer to Heaven right here on earth. The hammam became a vacation sanctuary that they kept returning to, intoxicated by the heavenly weightlessness of the experience, enjoying it all the more with each visit. Next, they found themselves at a local seafood restaurant that Anne and her travelling companion discovered after becoming somewhat lost. Though the restaurant itself wouldn’t score many points in appointment, the fresh fish was spectacular. Still, it was the extra effort the staff went to so that Anne and her friend could enjoy a glass of wine with their meal that truly impressed. Hankering for a glass of wine with their feast, they were visibly disappointed to learn the restaurant didn’t serve alcohol. Seeing their faces, however, 2 glasses of white wine mysteriously appeared, making for a truly memorable experience. 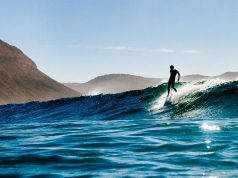 Though they enthusiastically recommend the Miami-like beaches of Agadir and their beloved hammam, it was their excursion into the Sahara that represented the most transformative experience of their first, but definitely not their last, trip to Morocco. The vastness of it, the quiet enormity, left them both feeling comforted by the thought of being a small part of something so large and so eternal.